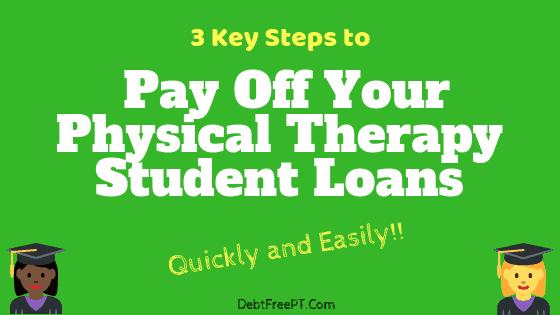 The biggest challenge I faced as a physical therapist was how to quickly and easily pay off my student loans. After much research and self reflection, in this article I’ll discuss 3 simple steps you can do TODAY to help pay thousands more towards your student loans each year! Effectively, allowing you to become debt free much quicker! Let me also say that if you are an OT, SLP, RT, RN or any other healthcare professional – the things I’m discussing will work for you too! Student loans and how to tackle them is pretty much the same across any profession. P.S. Keep reading to find out how to earn $200 right now while also saving tons of money on your student loans! The biggest downfall in our profession is our kindness. I know, that sounds weird! What I mean is that people take advantage of our kindness. We help so many people, but we can often forget to stand up for ourselves and make sure that we help ourselves as well. This in particular happens when physical therapists, especially new PT graduates or recent PT graduates, get hired in new positions. We value how other people view us and so we don’t counter offer when applying for positions. Even after we get a certain position, each year we just keep working and don’t ask for a little bit more! But we have too! If you only follow one step in this article, make sure that for every new job you get, that you counter offer your hiring salary. And if you are set in your job, then each year just ask your employer for some sort of raise or improved benefit. Now there’s no guarantee you will get any extra cash, but at least you can rest easy knowing you tried! How just 1 phone call made me $5000! I’ll share a quick story of I how I easily got $5,000 more in an offer for a home health PT position. So I interviewed for this position and several days later, I received a nice email offering me the position and stating the salary offer. I took a day to gather my thoughts and called the HR representative. The phone call took only 5 minutes and all I simply said was that I appreciated the offer, that I had several other bids by other companies, and was there anything more they could do for me? The HR representative reported that she would get back to me, as she needed approval from the facility. Two days later, I received a phone call with my same offer plus $5,000 more in a sign on bonus! All I did was make one phone call and simply ask one question! Be creative with your negotiations! You can be creative too when you negotiate! You could ask for more continuing education or for more days off. Raises don’t just have to be strictly for money but can be for any additional perk you think of! 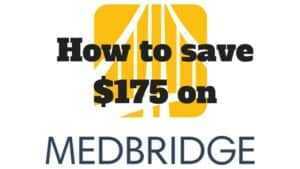 For new or recent PT graduates, you could try to argue for student loan reimbursement! This isn’t monetary, but if none of these items work for you, than what about just the ability to shadow the director or supervisor and be trained in supervisor duties. After enough time, this training could turn into an actual directorship role! This would likely include a directorship salary as well! Yes, we all joined this profession to help people but we also became PT’s to have a stable and healthy lifestyle. I don’t think we are asking for too much! So just be sure to continue to value your worth throughout your professional career! 2) Get a per diem physical therapy position to earn an extra $5,000 – $10,000 a year! Choosing the right career is vital if you want to pay off your PT student loans quickly! For example, if you make $70,000 versus $80,000, not even considering taxes, that an easy $10,000 more dollars that you now can pay towards your loans! Now I often talk about how contract physical therapy positions can earn you between $80,000- $100,000 and are great options for therapists looking to stay local yet looking to get much higher salaries than standard positions. 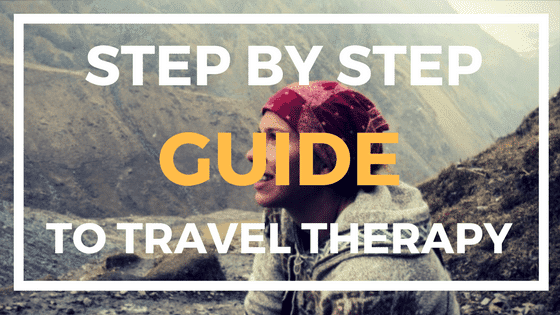 I often mention traveling physical therapy as well, and how this career track can grow your career while also paying you potentially $100,000, even as a new graduate. But for some people, these high paying jobs aren’t an option. This may be because they don’t want these positions or that they cannot relocate for these positions. For those individuals, then I highly suggest getting a per diem position. Even for those who are currently working in contract or traveling, you can still do per diem jobs and I’m a big advocate of this as well as it all helps you pay off your loans even faster! Why are per diem positions so lucrative?? Per diem positions often pay more because they are as needed positions. That means that because you are basically doing them a favor, they pay you more. They NEED you, and so they will pay you more! The second reason why per diem positions pay you more are because the facility is not providing you any other benefits. As a per diem PT, you simply get a salary but no 401K, no healthcare, no days off etc. You would be surprised, but healthcare and retirement benefits are very costly and really subtract from your salary. Without these benefits, a $70,000 job could easily turn into an $80,000 or $90,000 position! Since you are not getting any benefits, the facility can afford to give you more in terms of hourly wage. What do typical per diem PT’s make? It can really based on location, setting, experience level and simply facility need. But typically, per diem physical therapists earn between $45-$65 per hour. How much do you really earn by working a per diem position? Both of these shifts allow you to earn time and a half! So that $65 now becomes $97.50! Ok, now that’s take this to another level! What if you worked 2 days a month doing overtime or weekend shifts (so simply working a total of 24 shifts)? Now you earn between $12,960 – $18,720! This is pure extra money. But add on another amazing benefit of per diem positions, which is improving your skills and ultimately your resume. Every per diem position can make you stand out as therapist. You can learn new skills and network with more individuals. This boost to your resume may result in increase salary offers and negotiation power in the future! I have provided you with 2 excellent strategies to earn more and funnel more money towards your student loans to help pay them off faster. Now I switch gears and give you the number one way to save thousands of dollars over the life of your loan. Saving money on your loan is just as important, as every dollar you save is one less dollar you have to earn! Graduate student loan interest rates are crazy! Often between 7-9%. If you were simply paying the minimum payment on a $100,000 loan, than that’s $7000 – $9000 a year just on interest (not counting compounding). This makes it really difficult to pay off our student loans and makes it such a no brainer to refinance to lower these interest rates! In a nut shell, refinancing is when you find a refinancing company that essentially replaces your current loan with a new loan at new and lower interest rate. How does refinancing save you thousands of dollars? Lets use an example to illustrate the savings. 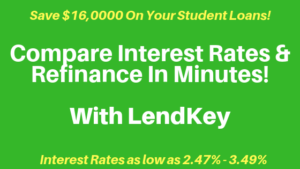 Lets say we have $100,000 in student loans at 7% interest rate. If you we paid off this loan over 10 years, we will have paid roughly $187,000 over the life of our loan. Now if we keep all numbers the same, and simply changed our interest rate to 2%, after 10 years you will have paid only $121,000. Simply by refinancing (which only takes a minute or 2) you have saved over $60,000! How does this compare with an income based repayment plan like REPAYE and getting forgiveness after 25 years? Based on a $100,000 loan at 7% and an adjusted gross income of $70,000, you will have paid an estimated $223,000 (This based off unsubsidized loan, using the Federal Student Loans Repayment Estimator which assumes your income grows at 5% a year). If you paid off your loan in 10 years you may owe $187,000. If you did REPAYE forgiveness, you may owe $223,000. If you refinance and pay off your loan in 10 years you may owe $121,000. Refinancing simply puts you in the best position to be able to pay off your loan and save thousands in the process. Who do I talk to about refinancing? You get a comparison of multiple refinance rates from different non-profit banks in minutes. You can see what rates you get without affecting your credit. They had great customer service and taught me a ton about refinancing. If you simply have questions, they would be the right people to supply you with the answers! Here’s the link to get $200 cash back also when you refinance with LendKey! Why are performing these simple steps to help pay off your student loans so important? First, the more you reduce your student loans, the happier and freer you will feel. Figuring out what to do with my student loans was one of the most anxiety-ridden parts of my life and left me feeling incredible guilt and anger at every wrong or costly decision I made. When I started to make six figures as a physical therapist, I started to feel more relaxed. I finally let myself take mini vacations or treat myself to the occasional night out. In addition, the more you pay towards you loans the more you actually pay to the true amount of your loan and not just the interest accrued on your loan. If you can begin to make larger payments towards your loans, then you can begin to SAVE major money because now less interest will be charged to you. This means that you are actually starting to PAY OFF your loan and not just maintain your loan. These are just 2 reasons but there are many more direct and indirect effects from paying off your student loans quickly – like the ability now to save for a home, a car, or a child’s tuition. Whatever your reason, I hope you seriously consider following at least one of these steps to see a major impact on your loans and your life! If you have any questions, feel free to email me at emma@debtfreept.com! And if you know anyone who would benefit from this information, simply share using one the various share buttons!